You are here: Home » Blog » Order this year’s Isabel Bloom today! Order this year’s Isabel Bloom today! You’ll LOVE this new Isabel Bloom! ORDER yours today! 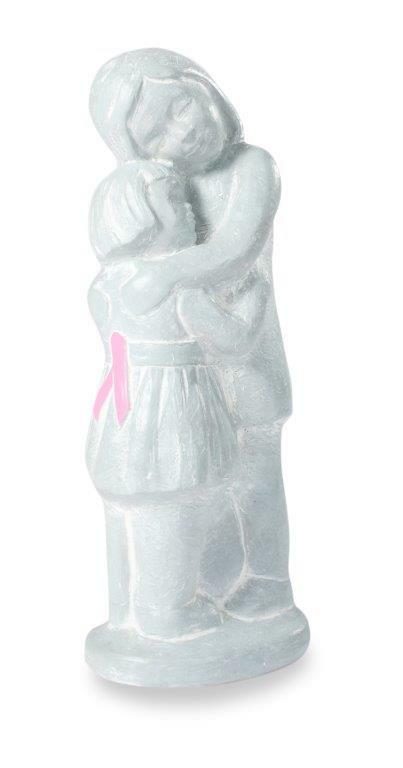 “Lean on Me”, a new Isabel Bloom sculpture to celebrate Komen Greater Iowa, is now available for purchase! Created and donated by Isabel Bloom, this year’s piece features a supportive relationship between two women. Order yours today for only $36! Congratulations to Kathryn Keating of Alburnett, Iowa, whose submission of the name “Lean on Me” was chosen for this year’s piece. This quote that she wrote will be printed on a card enclosed with each sculpture: “No matter what, I’m here; lean on me, for strength, hope and love”. 100 percent of the proceeds from the sculpture sales benefit Komen Greater Iowa. THANK YOU to Isabel Bloom for your continued support and sponsorship of Race for the Cure! ⇐ Pink in the Rink Raises Nearly $45,000!